The polling company chosen to select the audience for the BBC’s election debate has defended its political make-up amid claims of “left-wing bias”. 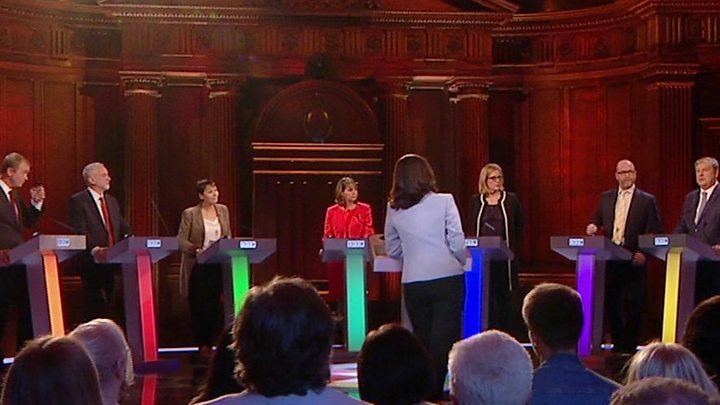 Andrew Hawkins, founder of ComRes, said the recruitment of people to watch the seven-way debate had been “more complex” than he had ever witnessed. He said five of the parties were left of centre – which meant “cheering is going to be skewed in one direction”. But Boris Johnson said the debate was an “echo chamber for left-wing views”. The set-piece event, which took place in Cambridge, featured Labour’s Jeremy Corbyn, Lib Dem leader Tim Farron, UKIP’s Paul Nuttall, SNP deputy leader Angus Robertson, Green co-leader Caroline Lucas and Plaid Cymru’s Leanne Wood. 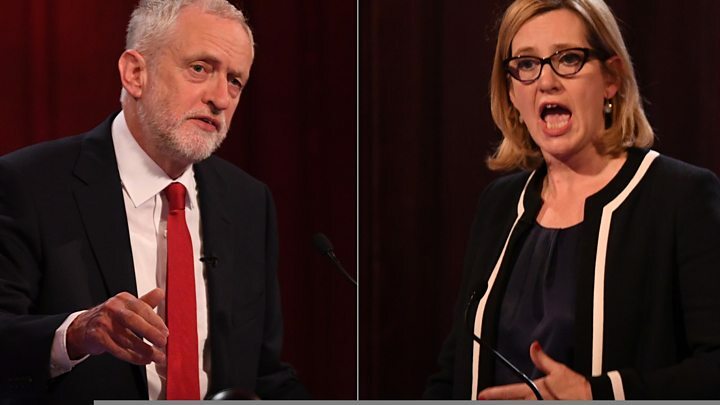 Conservative leader Theresa May came in for some criticism for refusing to take part in the debate, with Home Secretary Amber Rudd taking her place. The BBC said it commissioned ComRes to recruit an audience that was “representative of the country demographically and politically” and this included: age, gender, ethnicity, socio-economic factors, party politics, how they voted in the EU referendum and some who had been undecided. Media captionLeaders from seven parties were questioned on their leadership plans. 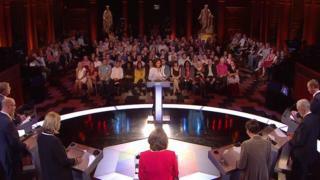 During the debate there was cheering and booing which led some, including Foreign Secretary Boris Johnson, to suggest the audience was biased. But ComRes founder Mr Hawkins told BBC 5 live a lot of thought had gone into the audience selection. “If you have a panel of people – one from the governing party (Conservatives) – one from what’s regarded as a right wing party (UKIP) and five from broadly left-wing parties, and you give those speakers equal airtime, it means you’re giving five slots of airtime to the left-wing parties for every two slots to the not so left-wing parties,” he said. “Therefore it’s inevitable that the cheering is going to be skewed in one direction. He said Brexit had added an extra layer of complications to the selection process because an equal number of Leavers and Remainers had to be chosen. “We screened out people who have campaigned politically at any time in the last three years,” he said. Mr Hawkins said the audience response was “a reflection of the fact that the Conservatives were on the back foot because Theresa May didn’t turn up – and therefore it’s a bit of an easy target”.